Pull up banner stands are perfect for a display in your store or business, Trade show or on the work site. Instantly your message or promotion can be displayed anywhere, no hooks or special mounting required. Simply pull up your banner from the weighted floor base using its spring coiled mechanism and secure at the top of the extension pole. Your sales will increase as it is important to remember that visual merchandising is a key component in retail growth. Stands tall at 2m high and 85cm wide. Comes complete with padded storage/carry bag. 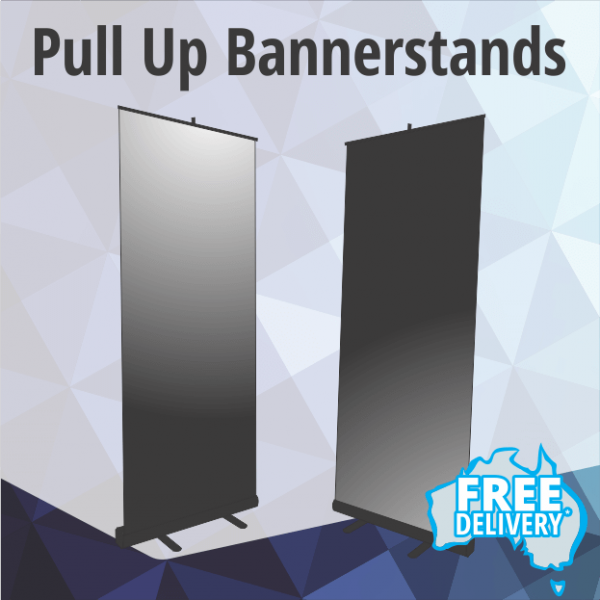 Let your products or services stand out amongst all the others with these fantastic PULL-UP BANNER STANDS.... These are the types of tools we can help provide you with to ensure your business thrives amongst all the competition!